After several months of careful planning, the very first Music For The Hearts musical concert was held on July 26th, 2014. The event was hosted at King of Life Lutheran Church in Coquitlam. We were thrilled to receive so much support from the church staff and committee! We greatly appreciate their help. The event was generously supported financially by Best Way Heating and Bright Dental Clinic. Food and drinks were provided in the event by Starbucks Coffee, Cobs Bread, David's Tea, Jugo Juice, and Menchie's Frozen Yogurt. We invited many young and talented musicians to join our cause in making the event possible, varying from children to youth and young adults. All performers delivered spectacular performances! From professional piano duets by Ellen Chan Music Studio's students to the adorable Westwood Alliance Church Choir Children's performances, MFTH 2014 was a successfully strong start. At the Appreciation Ceremony, all of our performers were awarded certificates of appreciation for their time and effort put into helping our cause. With the support of all those involved as well as the helpful volunteers during the event, we raised over $2,300 by the end to support the local hospital! 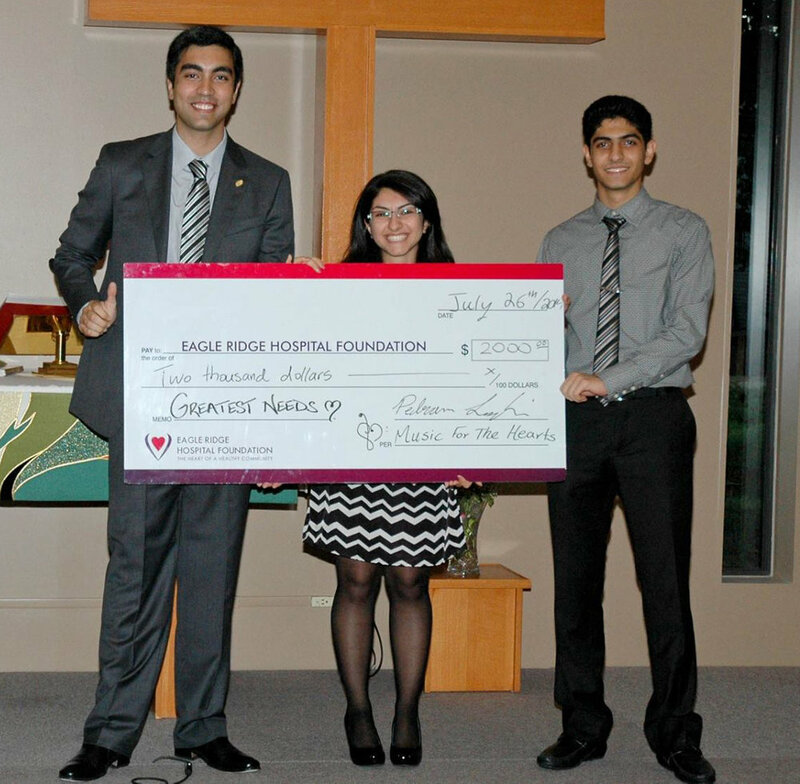 All the proceeds were donated to Eagle Ridge Hospital's greatest needs via Eagle Ridge Hospital Foundation. Thrilled by the success and inspired by our audience, it was at the end of this first event that our committee decided to make MFTH an annual event and a non-profit organization!